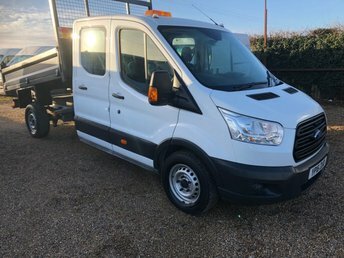 WWW.SAINTSCOMMERCIALS.CO.UK 2016 TRANSIT DOUBLE CAB TIPPER WITH ONE OWNER FROM NEW AND 29000 MILES. THIS TRUCK HAS E/WINDOWS, BLUE TOOTH, 7 SEATS, TOW BAR AND REMOTE C/LOCKING PLUS A SPARE KEY. SOLD WITH A FULL SERVICE A FULL MOT AND A WARRANTY, ANY INSPECTION WELCOME. WWW.SAINTSCOMMERCIALS.CO.UK NO VAT ON THIS TRANSIT TREND WITH AIR CONDITIONING. 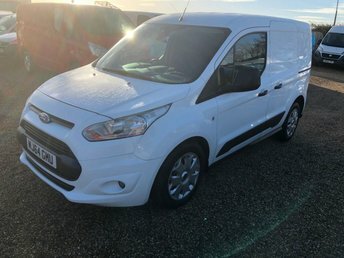 THIS VAN HAS AIR/CON, CRUISE CONTROL, SECURITY LOCKS, E/FOLDING MIRRORS, E/WINDOWS, FRONT AND REAR PARKING SENSORS, FRONT AND REAR FOG LAMPS, BLUE TOOTH WITH VOICE CONTROL, HEATED FRONT SCREEN AND REMOTE C/LOCKING PLUS A SPARE KEY. SOLD WITH A FULL SERVICE A FULL MOT AND A WARRANTY, ANY INSPECTION WELCOME. WWW.SAINTSCOMMERCIALS.CO.UK 2014 TRANSIT CUSTOM LWB TREND WITH ONE OWNER FROM NEW AND FULL SERVICE HISTORY. 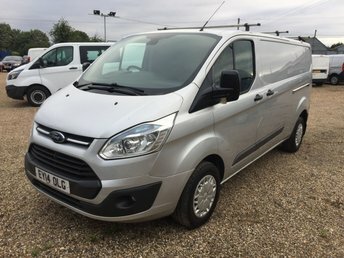 THIS VAN HAS E/WINDOWS, E/FOLDING MIRRORS, FRONT AND REAR PARKING SENSORS, CRUISE CONTROL, BLUE TOOTH WITH VOICE CONTROL, AUTO LIGHTS AND WIPERS, DRIVERS DOOR SECURITY LOCK AND REMOTE C/LOCKING PLUS A SPARE KEY. SOLD WITH A FULL MOT A FULL SERVICE AND A WARRANTY, ANY INSPECTION WELCOME. WWW.SAINTSCOMMERCIALS.CO.UK 2015 TRANSIT CUSTOM LWB WITH ONE OWNER FROM NEW AND FULL SERVICE HISTORY. 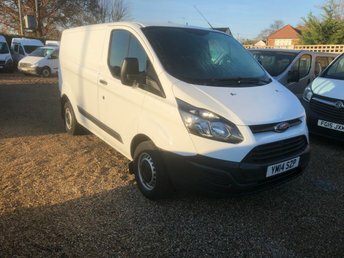 THIS VAN HAS E/WINDOWS, FRONT AND REAR FOG LIGHTS, FRONT AND REAR PARKING SENSORS, BLUE TOOTH, PLY LINING AND REMOTE C/LOCKING PLUS A SPARE KEY. SOLD WITH A FULL MOT A FULL SERVICE AND A WARRANTY, ANY INSPECTION WELCOME. CHOICE OF LWB CUSTOMS IN STOCK..
WWW.SAINTSCOMMERCIALS.CO.UK 2015 TRANSIT CUSTOM LWB HI ROOF WITH ONE OWNER FROM NEW. THIS VAN HAS FRONT AND REAR PARKING SENSORS, FRONT AND REAR FOG LIGHTS, E/WINDOWS, BLUE TOOTH AND REMOTE C/LOCKING PLUS A SPARE KEY. SOLD WITH A FULL MOT A FULL SERVICE AND A WARRANTY, ANY INSPECTION WELCOME. CHOICE OF 3 IN STOCK. WWW.SAINTSCOMMERCIALS.CO.UK 2014 TRANSIT CUSTOM SWB WITH ONE OWNER FROM NEW . THIS VAN HAS E/WINDOWS, BLUE TOOTH, PLY LINING AND REMOTE C/LOCKING PLUS A SPARE KEY. SOLD WITH A FULL SERVICE A FULL MOT AND A WARRANTY ,ANY INSPECTION WELCOME.60 QUALITY VANS ALWAYS IN STOCK. AIR CONDITIONING * 3 SEATS * FULL SERVICE HISTORY. 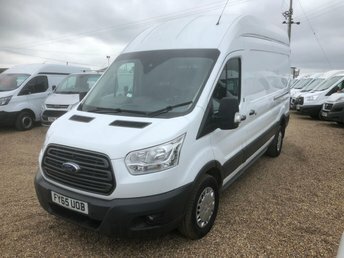 WWW.SAINTSCOMMERCIALS.CO.UK 2014 TRANSIT CONNECT TREND WITH FULL SERVICE HISTORY AND AIR CONDITIONING. 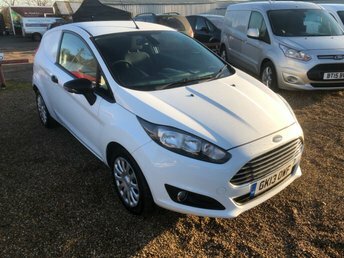 THIS VAN HAS 3 SEATS, AIR/CON, FRONT AND REAR FOG LIGHTS, BLUE TOOTH WITH VOICE CONTROL, AUTO WIPERS, E/WINDOWS, E/MIRRORS, HEATED FRONT SCREEN AND REMOTE C/LOCKING. SOLD WITH A FULL MOT A FULL SERVICE AND A WARRANTY.ANY INSPECTION WELCOME. CHOICE OF 4 IN STOCK. 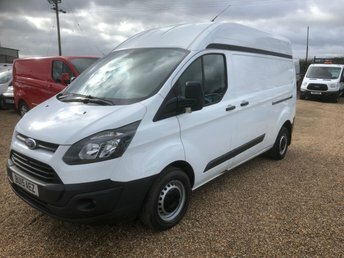 WWW.SAINTSCOMMERCIALS.CO.UK 2012 TRANSIT CONNECT LWB TREND WITH FULL DEALER SERVICE HISTORY AND AIR CONDITIONING. 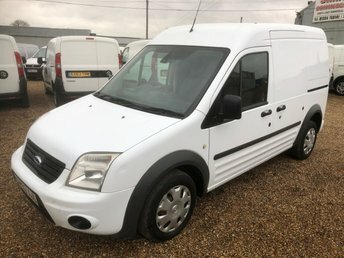 THIS VAN HAS E/WINDOWS, E/MIRRORS, AIR/CON, AUTO LIGHTS AND WIPERS, BLUE TOOTH, HEATED FRONT SCREEN, SECURITY LOCKS AND REMOTE C/LOCKING PLUS A SPARE KEY. SOLD WITH A FULL MOT A FULL SERVICE AND A WARRANTY. ANY INSPECTION WELCOME. Known across the world for its range of commercial vehicles, Ford's line-up of vans includes models to suit every business. The Ford Fiesta Van combines the efficiency of a small car with the practicality of a commercial vehicle, while the legendary Transit has set the benchmark for efficiency and loadspace for decades. 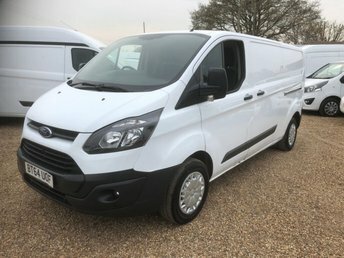 You'll find a wide selection of used Ford vans for sale in Fornham here at Saints Commercials Ltd. We stock models to suit a huge cross-section of drivers, so whether you're in the market for a compact commercial vehicle that's suitable for small deliveries, or a large panel van that'll allow your company to grow, our team is here to help. 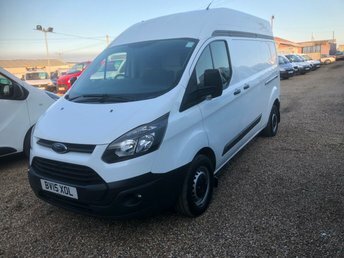 Get in touch with the Saints Commercials Ltd showroom now to discuss your requirements after viewing our current stock of used Ford vans here on the website.